The Audi A5 coupe and cabriolet, as well as their powerful S5 derivatives, are among the most beautiful cars on the road today, and they still look fresh more than four years after their debut. Yet it’s time for a mid-cycle face lift that freshens not only the cars’ styling, but also their technology. Unfortunately, in this renewal, the S5 coupe gets a new engine. The previous 354-hp, naturally aspirated 4.2-liter V-8 goes away, making room for the 333-hp, 3.0-liter supercharged V-6 already found in the S5 cabrio. Torque stands pat at 325 lb-ft. This swap comes as no surprise, and will improve fuel economy significantly. While the supercharged six is a great engine, we will miss the marvelous sound of the V-8. 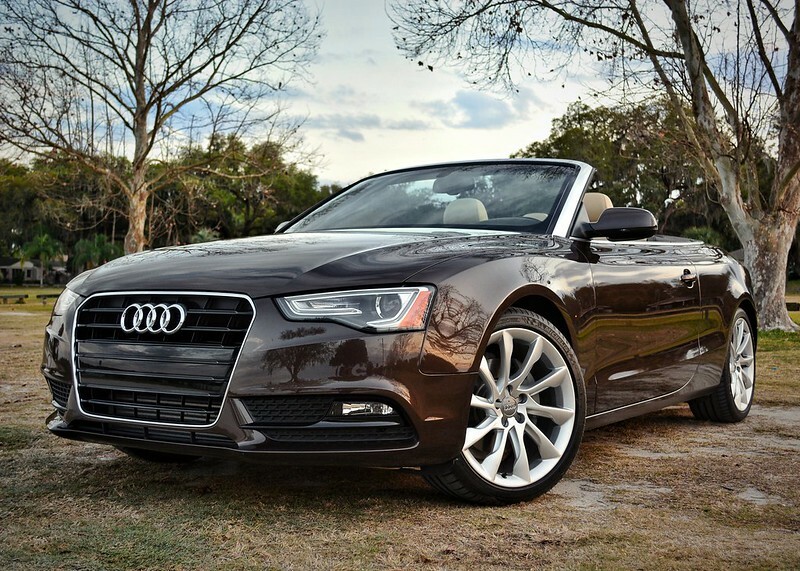 A splendid 211-hp, 2.0-liter four-cylinder remains the base engine in the A5, which is fine with us. 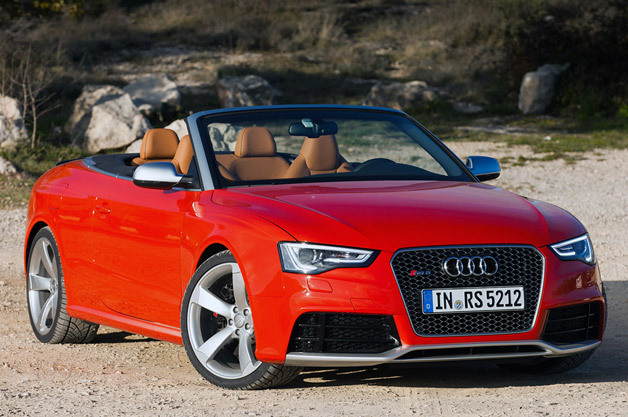 For those who lament the passing of the V-8–powered S5, Audi offers special consolation with the upcoming RS5. This model—on sale in Europe already—is powered by a thoroughly reworked version of the 4.2-liter V-8 producing an awesome 450 hp. We hear that the RS5 will arrive in the U.S. in early 2012. Meanwhile, the S5 receives an upgraded Quattro all-wheel-drive system with a crown-gear center differential that allows for variable torque splits. Other markets, of course, get a wider range of choices. Gas options for overseas A5s include a detuned version of the supercharged V-6 rated at 272 hp and an entry-level 1.8-liter turbo four with 170 horses. There are no less than four turbo-diesels: a 177-hp, 2.0-liter four and three 3.0-liter V-6s. One six makes 204 hp, another 245, and the third is said to be a “clean diesel” version—and here we thought these were all clean diesels—although its power output remains undisclosed. We also miss out on the A5 and S5 Sportbacks, the beautiful hatchback derivatives, although their big brother, the A7, is sold here. Which brings us to styling: The most obvious changes include a reshaped grille and new headlights with updated internals. Also new: the fog lights, the lower air intakes, and the taillights. The infotainment system is upgraded and now features fewer keys but more functions, and the steering wheel, column stalks, wood or aluminum trim, and obligatory chrome décor are all new to the A5/S5 line. Is it enough to bring the pair into the present? Stylistically, we’re not sure the competition from BMW, Cadillac, Infiniti, and Mercedes-Benz had caught up to begin with. We’d call that a nice head start to a pretty successful update. Tom Cruise Slated To Play Carroll Shelby ..